Alex Wong/Getty ImagesWarren Buffett topped the list of the wealthiest people in finance. Forbes Magazine just came out with it’s list of the top billionaires in the U.S.
We narrowed the list down to look at the most successful people in finance, which includes investments, trading, hedge funds and money management. 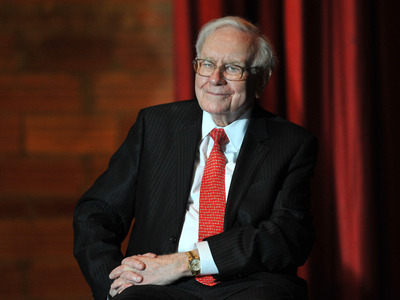 Read on to see the 10 wealthiest people in finance. Reclusive billionaire Philip Anschutz has built a fortune across oil, railroads, real estate, sports and entertainment. Anschutz also owns the NHL’s King team and part of the Lakers’ basketball franchise. He’s trying to build the world’s biggest wind farm in Wyoming. Tepper founded his hedge fund, Appaloosa Management in 1993, and now manages $US15 billion. Tepper bought the NFL’s Carolina Panthers professional football team for $US2.3 billion earlier this year. In September, Tepper said that his firm had reduced its holdings of US stocks. “If you ask me what inning we’re in, I think it’s a late-innings game,” Tepper, who manages about $US14 billion in assets,told CNBC of the nine-year bull market in stocks. Appaloosa in May disclosed it had sold its entire stake in Apple, which had previously made up more than 7% of its portfolio. The fund is also pushing for change at pharma company Allergan. 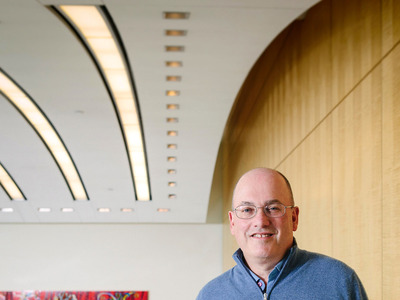 Steve Cohen for years ran SAC Capital, one of the most successful hedge funds ever. Cohen was forced to shut down SAC after the firm pleaded guilty to insider trading charges. He launched Point72 Asset Management and started taking outside capital in 2018 after running it previously as a family office. He now manages $US13 billion. Earlier this year, a female employee, Lauren Bonner, filed a lawsuit alleging widespread gender discrimination at the fund, including stark wage discrepancies between men and women for the same work. Doug Haynes, the firm’s former president and a former McKinsey executive who was named in the suit, left soon after. Bonner’s lawsuit was dismissed in federal court last week, and will now be arbitrated. Stephen Schwarzman, the son of a dry goods store owner, founded Blackstone in 1985 alongside Pete Peterson. Now the world’s largest private equity firm, Blackstone manages $US439 billion in assets. Schwarzman took home a pay package of $US786 million last year, making him the private equity industry’s highest paid executive. In the last several years, Schwarzman has taken a backseat in the day-to-day decisions at Blackstone but he still remains prominent in fundraising. Earlier this year, Blackstone elevated the firm’s real estate head Jonathan Grey to president and chief operating officer which paves the way for him to replace Schwarzman as CEO. In its biggest deal since the financial crisis, Blackstone in January agreed to buy a majority stake in the Financial and Risk business of Thomson Reuters in a $US20 billion deal. Carl Icahn has made a lifelong habit and lucrative career out of agitating undervalued and poorly managed companies to change their ways. Since founding his own investment firm in 1968, Icahn has become one of the most powerful people in finance, investing in scores of high-profile companies, including RJR Nabisco, Philips Petroleum, Viacom, Marvel, Time Warner, Netflix, and Herbalife. Icahn Enterprises now has around $US8 billion in assets under management. In August, Icahn reversed his position on US health insurer Cigna’s purchase of pharmaceutical subscription company Express Scripts. Icahn has said that he has no plans of retiring from pestering corporate executives. He was a special adviser to President Trump on regulation until his resignation in August 2017. Abigail Johnson has served as CEO of mutual fund giant Fidelity Investments since 2014, when she took over from his father Ned Johnson III. Her grandfather the company in 1946. Johnson owns around 24.5% stake of the firm, which manages $US2.5 trillion. Johnson, who is the first woman to run Fidelity, is known for being very private. Earlier this year, she made a rare speech in an effort to address inappropriate workplace conduct like sexual harassment at Fidelity. She’s also publicly championed the use of bitcoin. 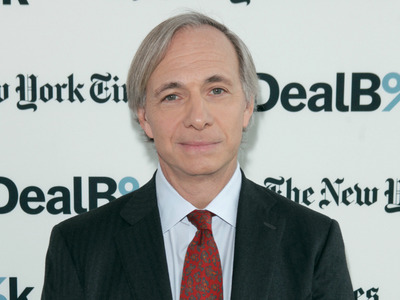 Ray Dalio‘s hedge fund, Bridgewater Associates, is the biggest in the world, managing a portfolio of around $US160 billion in global investments. At the top of his industry and having amassed an enormous fortune, Dalio has more recently focused on giving away money and advice. He’s taken the Giving Pledge, committing to donate the majority of his wealth to charity. He’s also stared his highly coveted “investment secrets,” albeit in an unorthodox manner for a hedge funder, in a 30-minute YouTube video. His 123-page, self-published manual on his principles of money management and leadership is also seen as somewhat of a bible among the investment world. Dalio has always taken a radical approach to management, making everything he and his fund does completely transparent to employees. And it’s worked well for him: Bridgewater, while sometimes viewed as “cultish,” is one of the most coveted places to work in finance. Dalio has said that he attributes his success, in part, to reminding himself that history repeats itself and keeping track of the decisions he’s made that didn’t work. To make sure that Bridgewater runs without him, he’s recently stepped back from management responsibilities while still remaining active in the investment strategy. Dalio recently sat down with Business Insider CEO Henry Blodget to discuss his new book, which breaks down the anatomy of credit crises throughout history. Before revolutionising the hedge fund industry with his mathematics-based approach, “Quant King” James Simons worked as a code breaker for the US Department of Defence during the Vietnam War, but was fired after criticising the war in the press. He chaired the maths department at Stony Brook University for a decade until leaving in 1978 to start a quantitative-trading firm. That firm, now called Renaissance Technologies, has more than $US57 billion in assets under management among its many funds. He’s given away over $US2.7 billion in his lifetime. Thomas Peterffy, who is frequently considered the father of modern trading, founded discount trading company Interactive Brokers in 1993. He took the company public in 2007, but still owns the majority of it. Peterffy immigrated to the US from Hungary in 1965 with no money and didn’t speak any English. He started off as a software designer and then bought a seat on the American Stock Exchange to trade options in the 1970s. He built a hand-held computer and used it to trade on the floor of the exchange, the first time that had been done. He’s also known for his staunch opposition to socialism. He ran a series of television ads during the 2012 election cycle warning about the dangers of wealth distribution. Peterffy also been public about his support for President Donald Trump. The array of portfolio companies and investments that made him rich may appear random – he’s bet on companies including Coca-Cola, American Express, Geico, Fruit of the Loom, Dairy Queen, and General Motors – but they’re all cash-generating machines that offer long-term value. 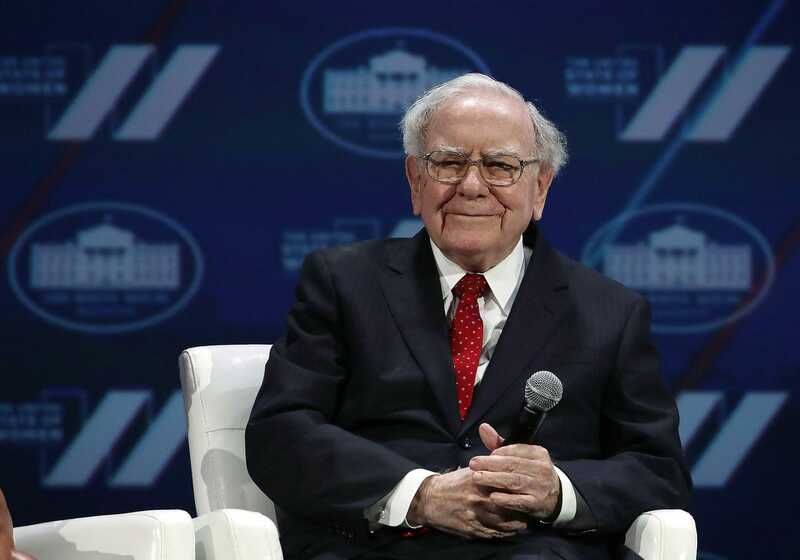 A frugal man with a fondness for junk food, perhaps the most impressive part of Buffett’s $US88 billion fortune is that it doesn’t include $US31.5 billion he’s already given away. He’s good friends with Microsoft cofounder Bill Gates, whom he collaborated with to create the Giving Pledge, a promise for billionaires to give away at least half of their wealth to charity. He’s said that he will give away 99% of his wealth.